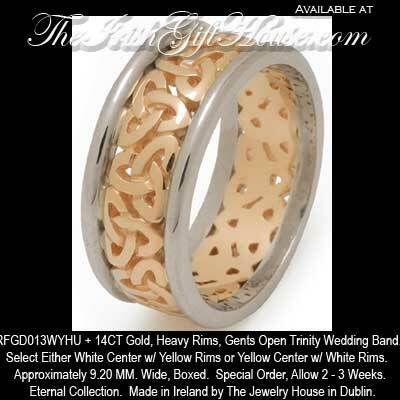 Ladies or Mens Open Filigree Design Celtic Trinity Knot Wedding Band. Approximately 9.20 MM. Wide, Boxed.